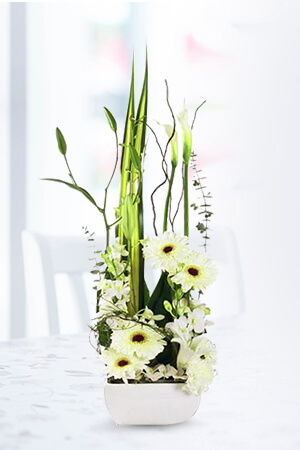 Delivered so quickly and the flowers were elegant and stylish. Just perfect. Thank you, I am very impressed. service ok - had heaps of emails but not one about the flowers actually being delivered - no confirmation! I had difficulties with your tracking system and it was only by ringing the recipient that I knew the flowers were delivered. Any attempt to track delivery went around in a circle. Ready flowers we're great and easy to deal with! You provided a wide range of floral tributes and there was ample opportunity to edit or change my mind. I appreciated the explanation followed by the notification that the flowers had been delivered. 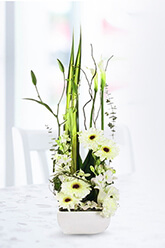 Needed flowers same day and you made the delivery on time with gorgeous flowers! So impressed flowers looked exactly like the photo I chose and service Exceptional!